One or more photo(s) has been virtually staged. 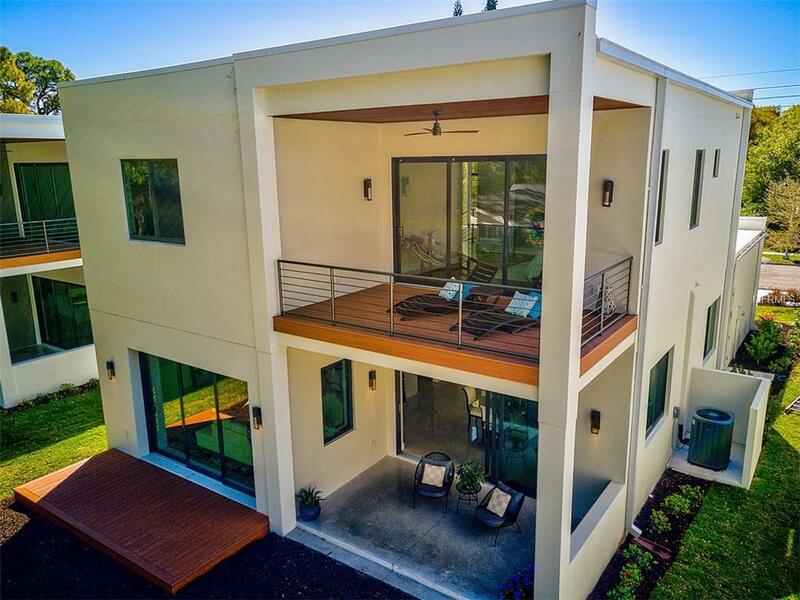 Custom-built new home in an up-and-coming "East is the new West Sarasota community. 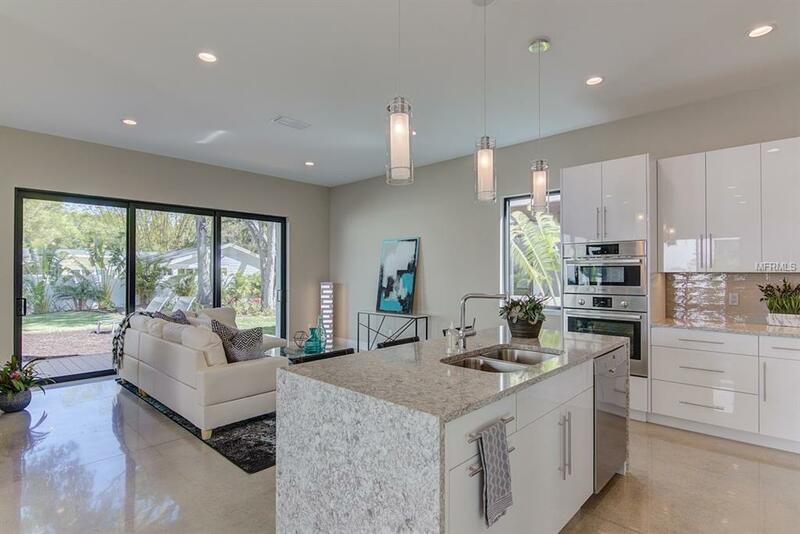 Set in the desirable Arlington Park neighborhood, just 3 blocks East of Tamiami Trail, is this enclave of three new construction, modern, custom-designed homes. These clean, simple and elegant concepts are the result of a collaboration between award-winning local Architect, Mark Sultana, of DSDG and residential home builder Cole Contracting Corp., specialists in high quality craftsmanship. 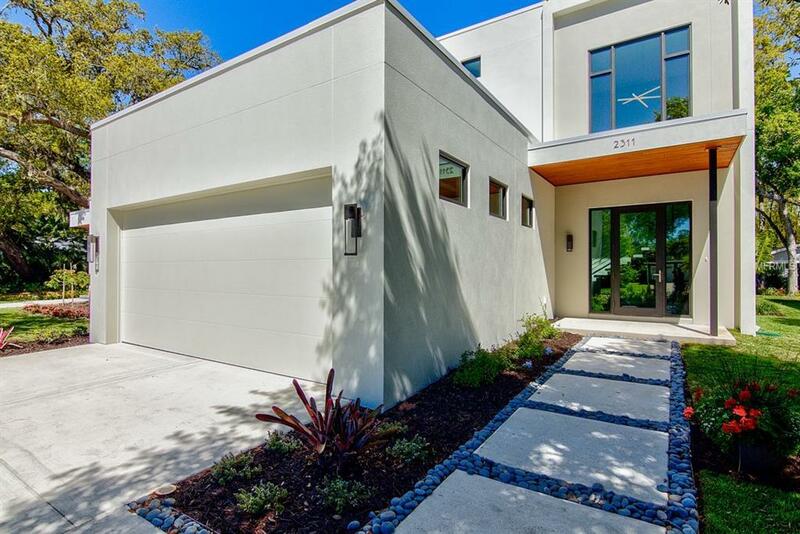 Designed and built to the highest of standards, these homes feature polished concrete and engineered hardwood floors, solid core doors, Level 5 Finishes, commercial grade roofs, and impact/energy efficient windows, all providing for a low-maintenance lifestyle. The chef of the home will love the open concept kitchen with cascading Quartz countertops and top of the line Bosch appliances. The open floor plan draws in an abundance of natural light with two sets of large sliding glass doors in the living area that overlook the covered patio with weatherproof Azek decking and a spacious backyard professionally landscaped by Borden Landscape Design. There is also plenty of room to add a pool. The downstairs bedroom can be used as an office or playroom, while the master suite with private balcony, additional guest bedroom, and laundry room are conveniently located on the second floor. 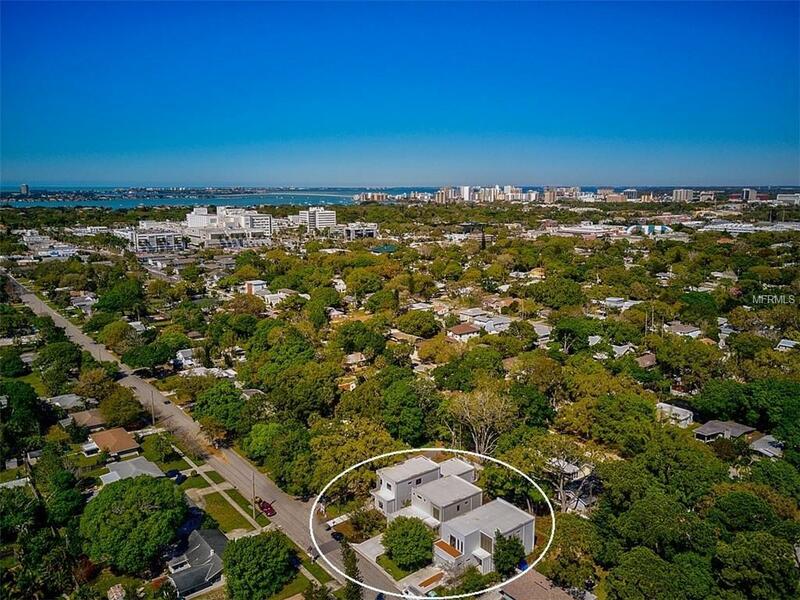 This prime location is highly coveted due to its proximity to Downtown Sarasota, Siesta Key, Southside Village and Sarasota Memorial Hospital.